802.11 working group started a new project in 2010. Task group AH studied possibilities to extend 802.11 wireless networks in sub 1 GHz range to provide indoor and outdoor devices with long range, scalable and energy efficient communication protocol. 802.11ah is down-clocked version of 802.11ac operating in unlicensed Industrial, Scientific, and Medical (ISM) sub 1Ghz bands. Significant tweaks in both PHY and MAC design was made since we don’t need to maintain backward compatibility with previously existing standards. Let’s name a few. 802.11ac allows us to use 20, 40, 80 and 160 MHz channels. 802.11ah makes it possible to use channels 2, 4, 8 and 16 MHz wide being ten times down-clocked version of 802.11ac. Plus there is an additional 1 MHz channel introduced when enhanced coverage range is expected. 802.11ah uses Orthogonal Frequency Division Multiplexing (OFDM) and supports Downlink MU-MIMO just like 802.11ac. 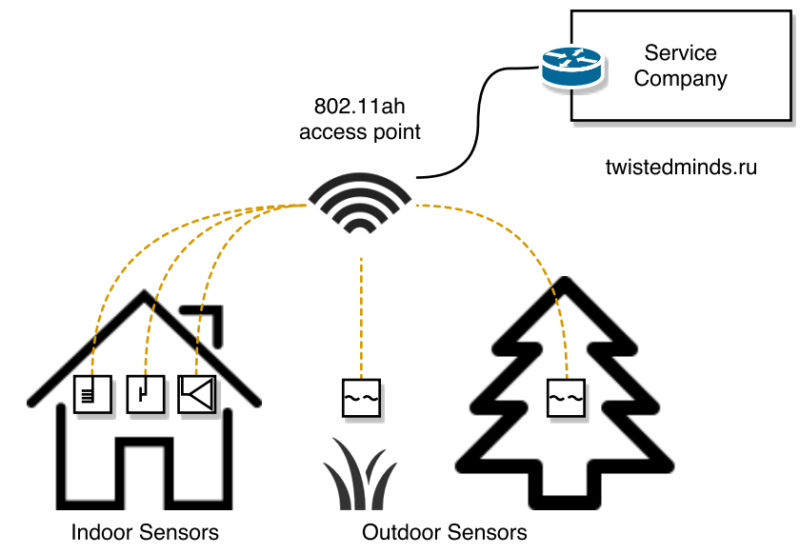 802.11ah device can use up to 4 spatial streams (down from 8 in 802.11ac). 2, 3, 4 spatial streams increases data rate 2, 3, 4 times respectively. 1 MHz channel can operate using special MCS index – MCS10. This scheme duplicate symbols to increase reliability of wireless transmission. MAC enhancements primarily focused on increasing number of devices, airtime access efficiency and introducing new power saving strategy. In legacy 802.11 networks there is such thing as Association Identifier (AID) which is assigned by AP to every associated station. Formally it is 14 bit long and allows us to address as much as 16384 devices. But values other than 1-2007 are reserved thus max amount of devices is limited to 2007. 802.11ah working group extended allowed range to 0-8192. 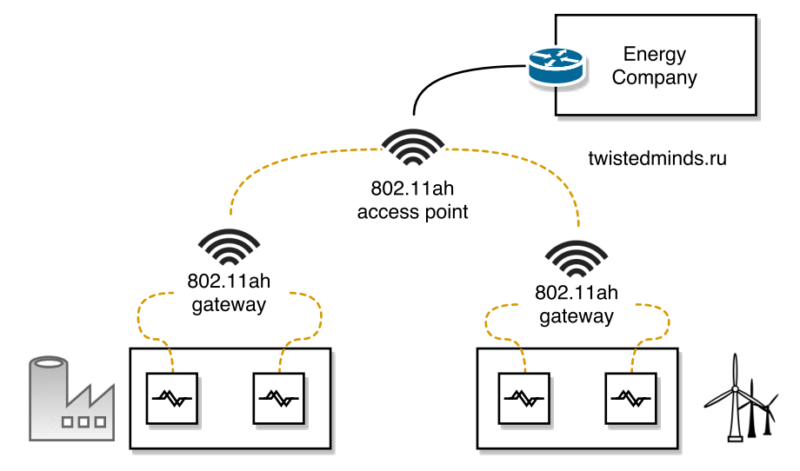 A large amount of connected devices requires a new way to simplify operations. 802.11ah allows group devices with similar characteristics. Such grouping consists of four hierarchical levels named: page, block, subblock and station’s index. This design allows us to interact precisely with a group of stations with little overhead. We can select appropriate page (up to 2048 stations), block (up to 64 stations) or sub-block instead of include thousand station AIDs in our frame. Furthermore, it allows us to group station based on some property of location, functions, capabilities to utilize airtime efficiently. Existing 802.11 standards allow station to transition into power saving mode. Station in this mode alternating between awake and doze states. While it’s in doze state, it completely turns off radio and forces access point to buffer designated data until station would transition in awake state. AP lists stations with buffered data in a part of beacon managed frame called Traffic Indication Map (TIM). As soon as station awakens and finds itself in TIM structure, it sends a control frame to request buffered data from AP. However, few undesirable conditions take their place with existing power save mechanism. Maximum doze state duration is limited to 18.64h. The station has to spend energy and send keep-alive messages regularly to avoid being de-associated. For example power consumption meter may need to wake up only once per month. 802.11ah working group introduced scaling factor to solve this issue. Scaling factor basically multiplies doze state timer by 1, 10, 100 or 1000. It allows a station to stay in doze state 2500 times longer. 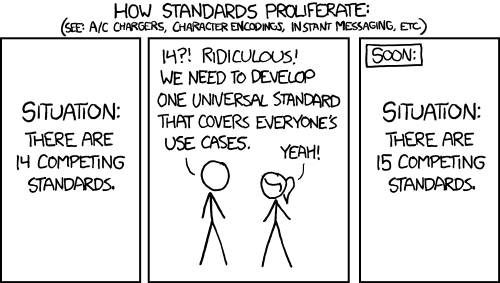 Five years of standby should be enough for most use cases. Moreover, in case there are a lot of stations with power saving mode enable on the network TIM frame could become huge since TIM’s partial virtual bitmap should list all stations with buffered data awaiting transmission. Also, all stations should stay in awake state until all buffered data transfer is going to complete in case there is more information that can be transmitted between beacon intervals. Thanks to hierarchical addressing design 802.11ah could solve this issues with new power saving mechanism – TIM and page segmentation. First, AP transmits a Delivery TIM (DTIM) beacon. It informs which groups of stations has buffered data. Right after TIM beacon is being transmitted towards groups included in DTIM frame. Let’s assume we have 64 stations broken into eight groups. Station transitions from the doze to awake state to listen to DTIM information and decide if there is any data buffered on access point. In case these stations are group other than 4 then they can go back to power save mode until next DTIM beacon would be sent. Group 4 expects to receive TIM frame which specifies station’s AIDs with data pending. AIDs 1, 6, 7, 8 in our example. You would expect to see AIDs like 4097, 5002, 5003, 5004 for TIM4 group in real world. There are few types of stations exists. TIM, non-TIM and unscheduled. 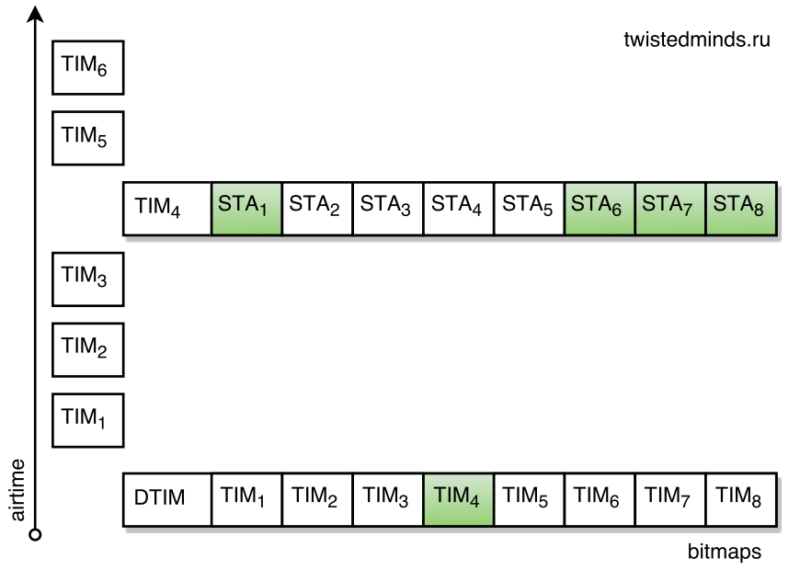 TIM station utilizes similar power save strategy as it would in legacy 802.11 network as it is the only type which listens to DTIM and TIM beacons. Non-TIM is capable of negotiating custom channel access interval with the AP thus it can save energy even more than a TIM station by skipping default wake time. An unscheduled station can transmit and receive data as long as the medium is free. A huge amount of devices on the network increases collision probability. 802.11ah working group came up with an idea to split devices in groups and channel airtime into slots. Then assign a slot to a group and spread channel access time among some groups. This concept called restricted access window or RAW. Devices learn from RAW Parameter Set (RPS) beacon’s field to determine if it is assigned to a group, what RAW duration is set to and when it is going to start. Also, RPS further divides RAW into time slots and assign appropriate time to access medium for each device. Since a number of devices which are ready to receive or transmit data is limited 802.11ah access point transmits new resource allocation frame called (RA) before RAW. RA contain a schedule for every device with time slot assigned. There are myriads devices, sensors, meters and controllers which would benefit from going online as Internet of Things market emerges. Provide all them with machine to machine communications and access to the Internet without overwhelming existing networks is a challenging task. 802.11ah is an answer to this challenge since it provides devices with low cost, low energy, high range reliable wireless connectivity in sub 1 GHz ISM bands.